So you now want to test your skills against other people. Or you simply want someone to practice with. In any case, the best alternative to randomly calling up people and seeing if they are interested is finding a play where people play table tennis regularly. If you can get in and catch the attention of a few people, then you will be set. But with the current situation of table tennis in the States, this can get a little tricky, depending on where you live. Where Can You Play Ping Pong? The first place to start would be the USATT website. It lists the major clubs within the 50 states of USA. But even if you don’t find what you are looking for there, don’t despair. That list contains only a fraction of the actual table tennis facilities in the USA. Visit or call these places up and ask about any activities or sports going on, gradually inching towards table tennis. Remember, they may call it ping-pong or a variety of other assorted names so be sure to mention those too. City Directories may have information on possible sites, as well as the Chamber of Commerce. Or try trolling for mentions of table tennis in various conversations in the city. Despite all of your best efforts, finding a suitable place to play can fail often. But one must realize all the other existing clubs also began from the mere whirlwinds of dust floating through the ethers. The next section, spreading table tennis, talks about how you can form your own playing organization, so others in the same predicament as yours can be helped and inspired. Are you looking for places to play table tennis? 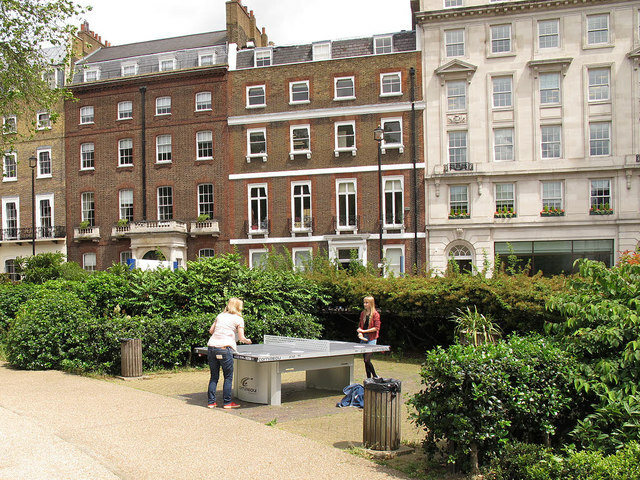 There are different places where you can play table tennis or ping pong. Let us examine the various places where you can play a game of table tennis. After you have been able to choose your table tennis equipment you will need a place where you can be able to try out your equipment and also develop your table tennis techniques. It is important for you to find a place to practice your game so you can improve your basic skills in table tennis. You can play table tennis at home with your family and friends or you can play in a table tennis club, a recreational or sports center. Most people play table tennis at home with their friends and family members. It is fun when you play table tennis at home but you will need to have a good table tennis table. If you cannot afford a full sized table tennis table you can buy a mini or compact table tennis table. Mini table tennis tables are very good for kids and it will make them start to learn to play table tennis. You can play table tennis in a nearby table tennis recreational center. In most recreational or leisure centers, you will find a table tennis table where you can play ping pong. Recreational centers are one of the best places to play the game of table tennis. They have good facilities and sports equipment and are commonly found in colleges and institutions. Recreational centers are also used as a fitness center for families and friends. You can play table tennis in a nearby table tennis club. 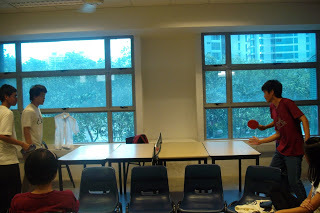 Table tennis clubs are the best places to play table tennis and to meet table tennis players. You will also get table tennis coaching in a table tennis club and can be able to participate in local table tennis tournaments. A game of table tennis involves two or four players. That is two players for the singles game and four players for double games. So apart from looking for places to play table tennis, you also need to find opponents to play and practice the game with. If you are really serious about improving your game, you must locate and register in a table tennis club near you. Table tennis clubs are very good for beginners; because it enables them to have the opportunity to practice with other players and also play in local table tennis tournaments. Most of the national sports centers are equipped with different up to date and international standard training equipment for indoor sports including table tennis. I am sure that if you can’t find a table tennis club, you can be able to practice table tennis in a national sports center near you.